Directions:About 12 miles southwest of Bridgeport on Twin Lakes Road off Hwy 395. 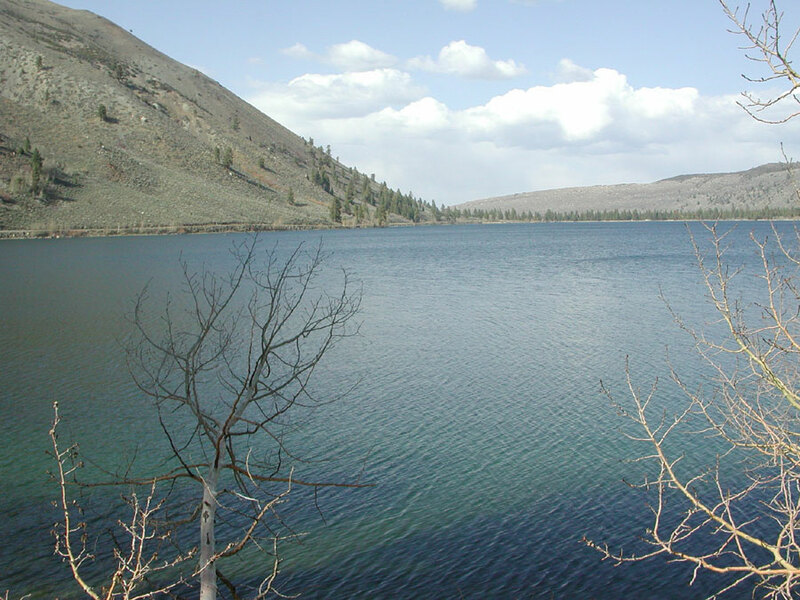 Twin Lakes has an Upper( 265 acres) and Lower(391 acres) lake at about 7,000' elevation. The lakes have excellent fishing for both large Rainbows and Browns, with Kokanees also present. Upper Twin took the State record for a German Brown at 26 lbs. 8 oz. away from Lower Twin lake in 1987. Best flyfishing is by float tubing along the banks in the early morning and late evening, particularly for the Kokanees. The Kokanees will hit the surface for attractor drys, such as Royal Wulffs or streamers, such as Olive Matukas and Hornbergs. Over the last decade the number of large Browns have declined since Brown trout plantings have ceased from the Mt. Whitney hatchery due to whirling disease. The DFG used to plant 100,000 browns annually, presently none are planted. Lahonton cutthroats are currently being restored to the lake. It is hoped that both, cutthroats and browns, will establish themselves since they occupy different depths of the lake. DFG anticipates reducing the 96,000 rainbows planted annually within Twin Lakes. Float tubing is good at both lakes, particularly around the inlet areas and the northern shorelines. Winds pick up in the afternoon. The season if the last Saturday of April to November 15th. 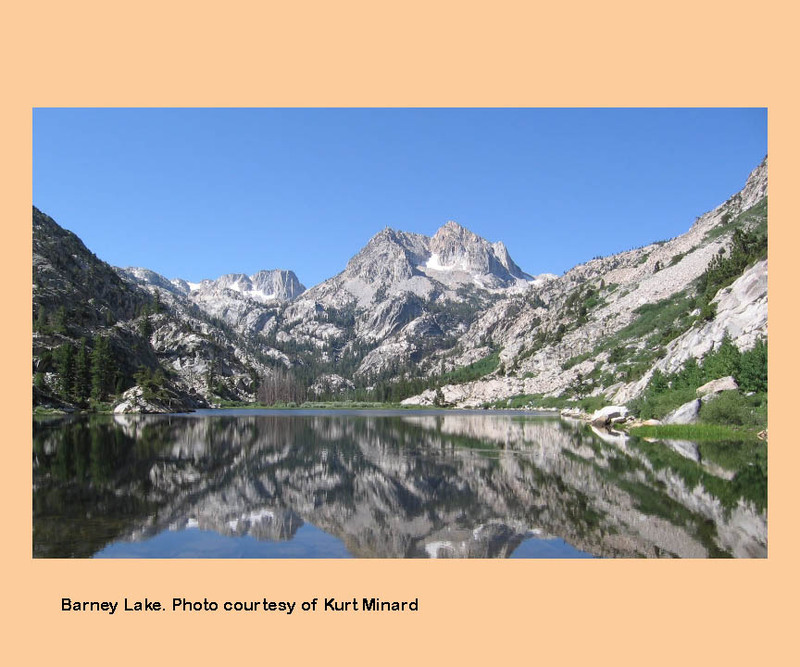 From the outlet of Upper Twin Lake is the trailhead to Barney Lake. Barney lies at 8,300' elevation and is about 14.3 acres in size. The lake was named for Barney Peeler, a long time resident of Bridgeport, in 1925. There is a good trail that goes along Robinson Creek for 3.5 miles. It is a moderate hike of about 2 hours. Barney Lake has Brookies but there are also Rainbows and Rainbow-Golden hybrids. Best access for fishing is along it's western banks. The trail continues for 2 miles onto Peeler Lake (Barney's last name) which contains Brookies and Rainbows. 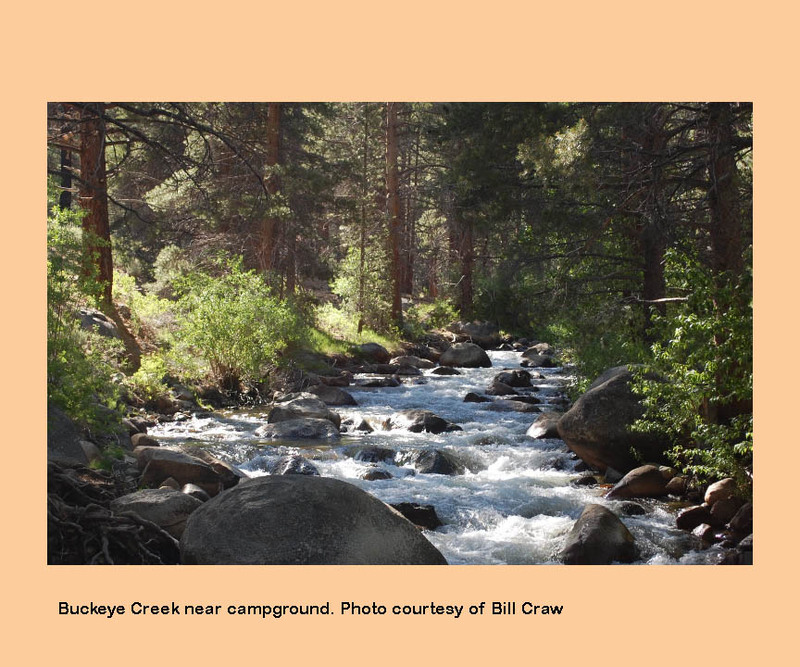 Robinson Creek, above Upper Twin, will have wild trout in both Rainbows and Brookies. 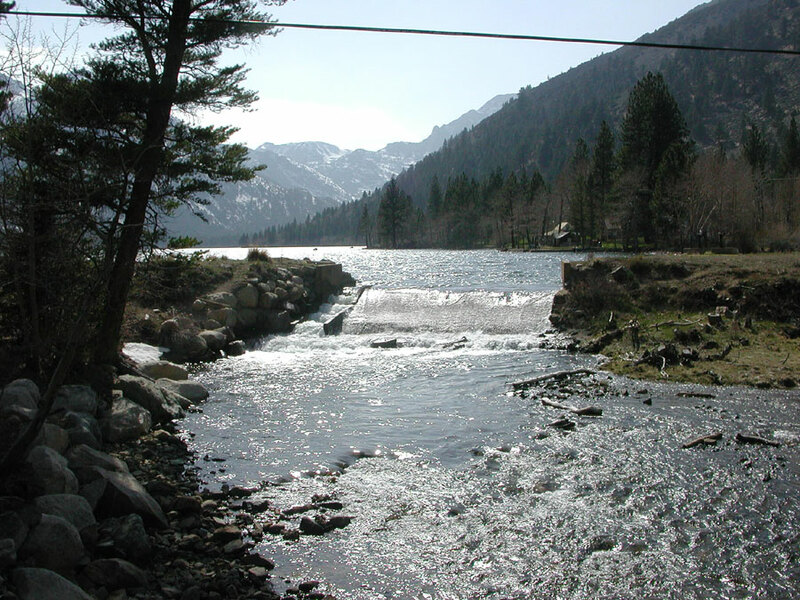 Below Lower Twin Lake, Robinson Creek has about 13 miles of fishable stream going from 7,000' to 6,400' parallel to Twin Lakes Road and also from Hwy 395 where it crosses about 2 miles north of Bridgeport. The DFG heavily plants this creek for about 6 miles below Lower Twin Lake with about 46,000 rainbows annually, of which, about 150 are trophy size in the 3-5 Lb. class. There are also resident rainbows and browns, as well. Royal Wulffs, Yellow Humpies, and various caddis patterns work well in this creek. Robinson creek was named after Moses Robinson who owned a timber mill along the creek in the 1860's. 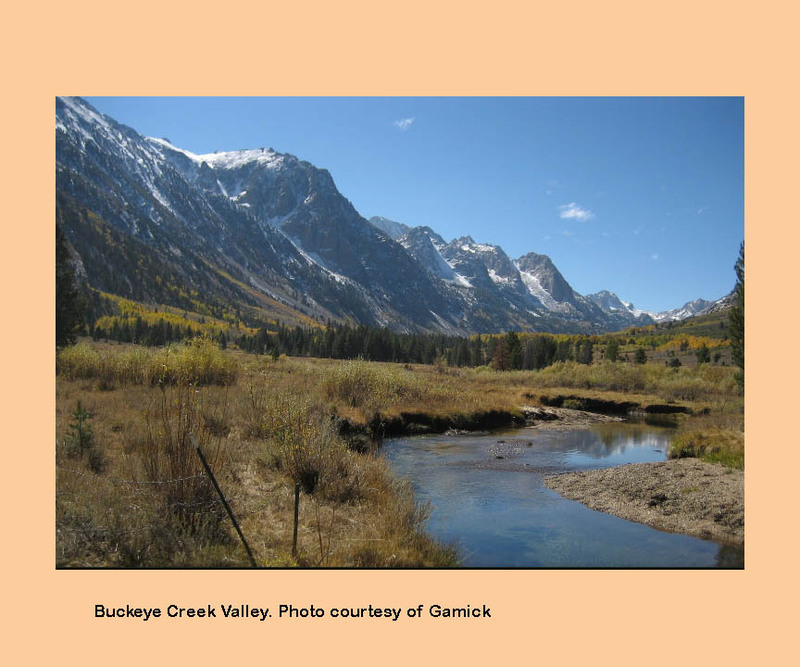 Buckeye Creek is stocked by DFG weekly with an annual 4,000 rainbows. Most of these planted fish are discharged from the Buckeye Campground and extend for 2 miles downstream. 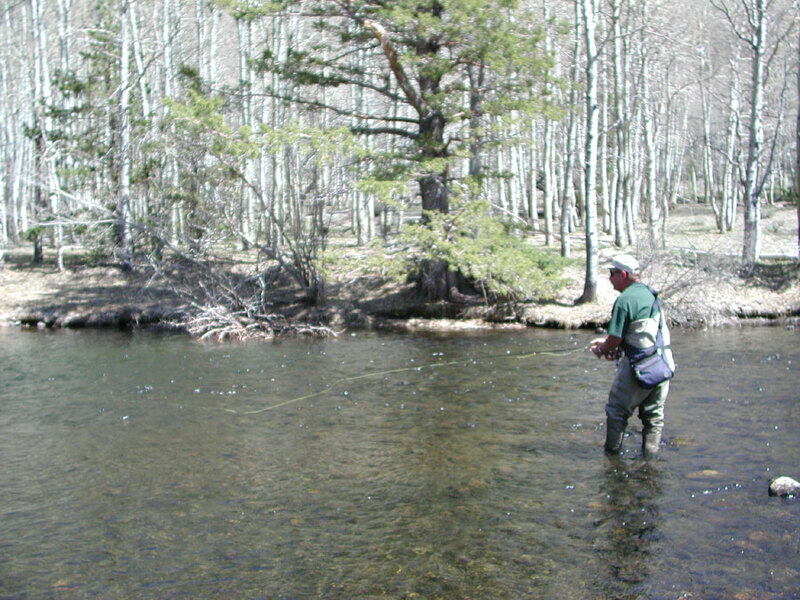 Most of this water is heavily fished by the bait fishermen.The upper reaches of the creek have wild trout and this is where the better flyfishing opportunities exist. The stream is a series of runs and riffles with numerous small pools. Maltby Lake: This lake contains Brookies. Ice Lake: This lake contains Brookies. Glacier Lake: This lake contains Brookies. Avalanche Lake: This lake is fishless. Turquoise Lake: This lake is fishless. Lake Francis: This lake is fishless. Tamarack Lake has it's trailhead at the Lower Twin Lake Campground. The trail follows Tamarack Creek for 4 miles on a strenuous hike for a 2400' elevation climb and contains Brookies. 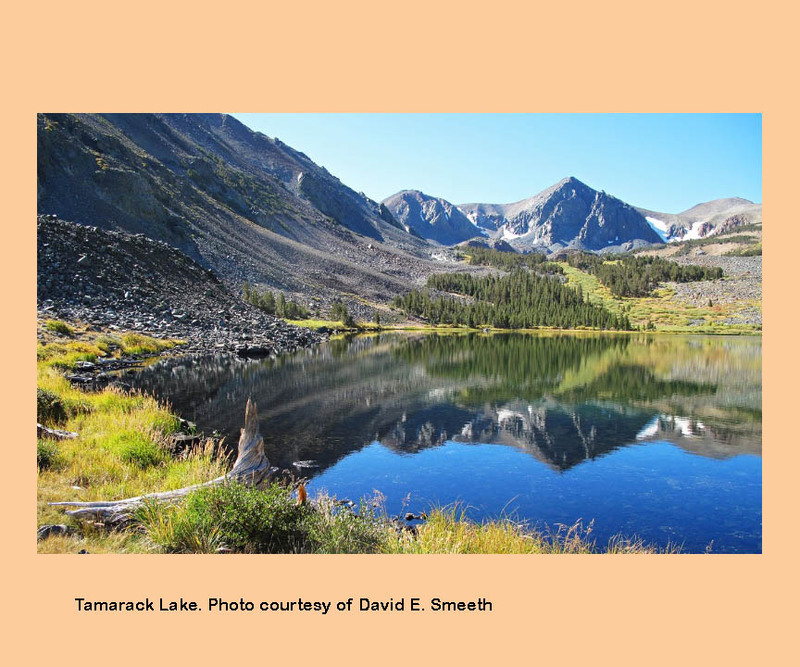 Tamarack Lake is 18 acres at 9,700' and contains Brookies and Goldens. The upper Tamarack Creek also contains Goldens. An easier access to Tamarack is by way of Summers Meadows Road off Hwy 395 (9.6 miles). It requires a four-wheel drive but you can get within 1/2 mile of the Tamarack trail and it is a 2 mile, 1400' climb from there. 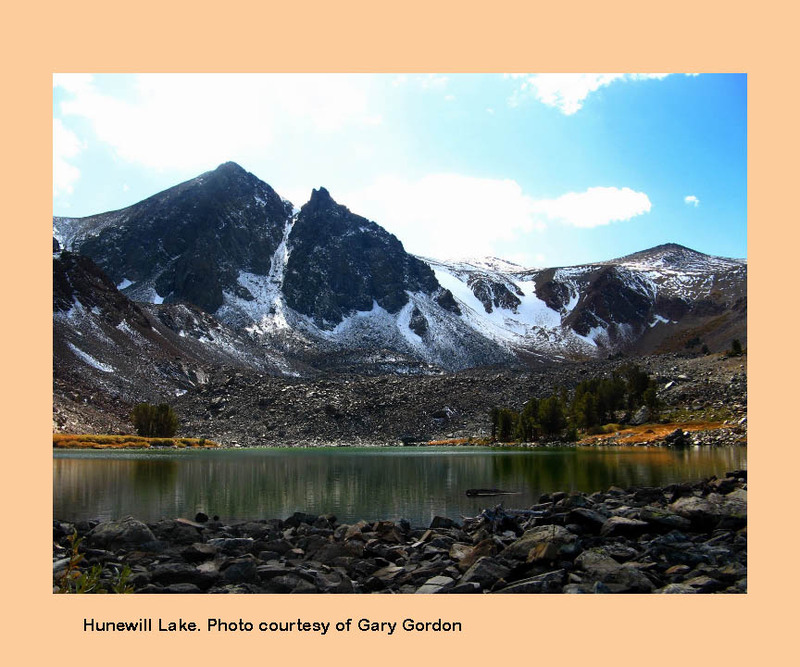 Beyond Tamarack Lake by 1/2 mile is Hunewill Lake. This lake contains Brookies. The smaller pond between the two lakes is fishless.